WASHINGTON CITY — A St. George man was arrested Sunday after allegedly smashing the glass door of a Washington City home before going inside and falling asleep on a couch. Officers responded to a report of a suspicious person in a residential neighborhood near the Washington City Community Center Sunday morning, according to a probable cause statement filed by the Washington City Police Department in support of the arrest. A witness told police that the homeowners were out of town and that the home’s interior lights had not been on during the night, the arresting officer wrote in a sworn statement. However, after seeing the interior lights on the next morning, the witness became concerned and called police, according to the statement. 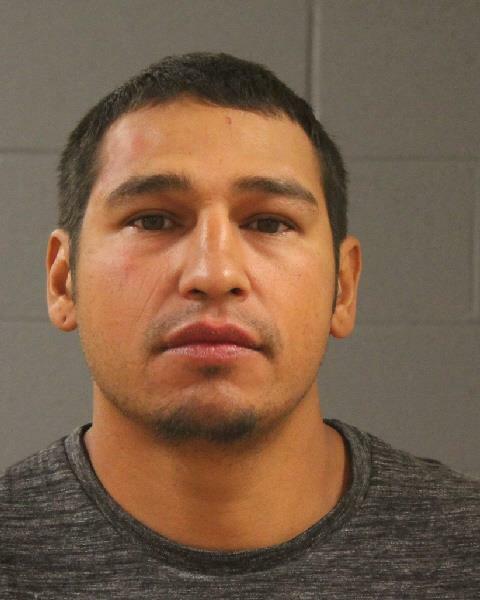 Officers made entry into the home and found 29-year-old Roger Manuel Appel-Martinez, of St. George, asleep on the living room couch, the report stated. Appel-Martinez was arrested and booked into the Washington County Purgatory Correctional Facility. The Washington County Attorney’s Office filed an information in 5th District Court accusing Appel-Martinez of class A misdemeanor criminal trespass and class B misdemeanor criminal mischief – intentionally damaging property. Appel-Martinez was subsequently released from police custody on bail. He is scheduled to appear in 5th District Court before Judge Eric Ludlow. Updated: Minnesota man leads police on high-speed chase because he "wanted his freedom"
“I’m Tom Bordette, we’ll leave the light on”. Well golly gee whiz that was rude of him to damage someone’s else’s property and enter someone’s home without being invited. that really wasn’t a very nice thing to do.